This fall, from Sept. 7-Nov. 4, 2018, guests at the Disneyland Resort will enjoy special seasonal experiences inspired by Día de los Muertos at Disneyland Resort. These festivities and displays are inspired by the tradition of Día de los Muertos, which celebrates loved ones who have passed and also honors familial bonds that last forever. 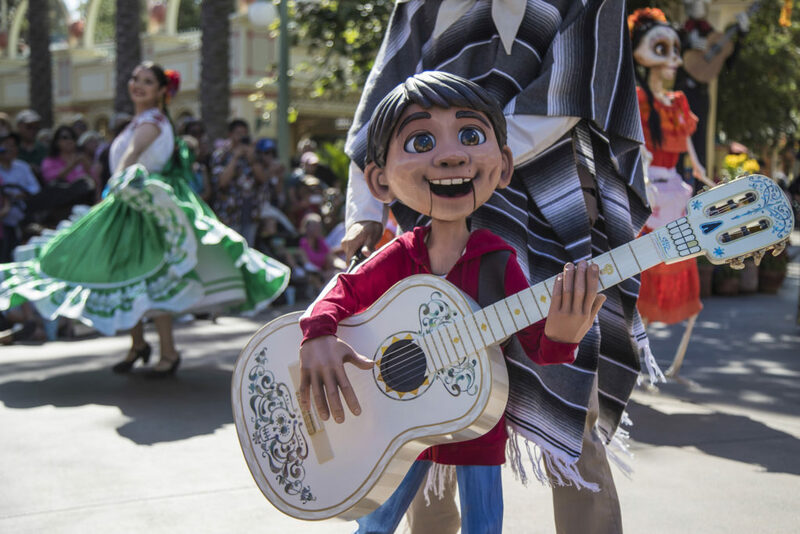 New this year, Miguel joins a musical celebration of ‘Coco’ as Plaza de la Familia returns to Disney California Adventure Park. 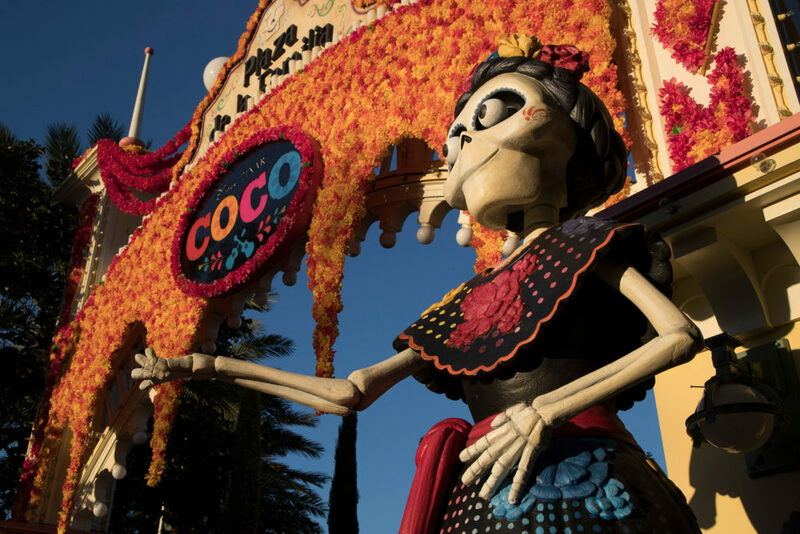 Plaza de la Familia, a limited-time festivity at the Paradise Gardens area of the park, celebrates Disney•Pixar’s Academy Award®-winning film “Coco” and the everlasting bonds of family. 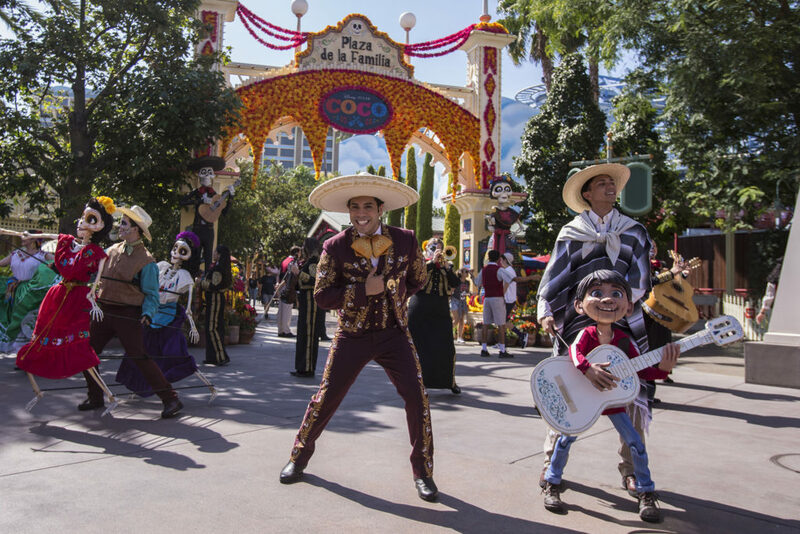 Guests visiting Plaza de la Familia will enjoy an immersive celebration that includes live entertainment with storytelling, folklórico dancers and mariachi musicians, delicious Mexican fare and interactive experiences such as the new craft where guests make colorful masks like the ones seen in the “Coco” film. A Musical Celebration of Coco: A festive show by the entertaining Storytellers of Plaza de la Familia celebrates the popular songs from the film “Coco,” including the Oscar®-winning Best Original Song “Remember Me.” As the lead storyteller Mateo recounts Miguel’s fantastical journey into the Land of the Dead, guests are immersed in the story of “Coco.” New this year, Miguel appears as a whimsical, hand-animated dimensional figure, joining a musical gathering that brings together a lively troupe of singers and Folklórico dancers dressed in beautiful costumes accompanied by the Grammy® Award-winning Mariachi Divas. A Musical Celebration of Coco is performed several times daily. At the Paradise Gardens Bandstand, guests will enjoy an uplifting and moving family celebration featuring beloved Mariachi music and traditional songs that touch the hearts of all. The World of Coco: TheWorld of Coco, an evocative art exhibit, allows guests to rediscover their favorite characters and settings from the film “Coco.” The immersive exhibition features framed imagery that showcases the depth of imagination that went into creating the Land of the Living and Land of the Dead. 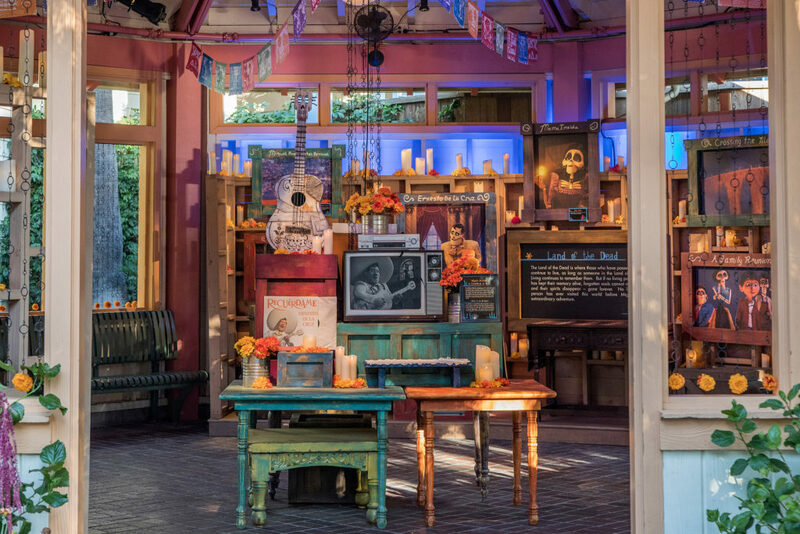 Guests also will encounter a three-dimensional “ofrenda” inspired by the remembrance altar seen in “Coco.” In the film, Miguel, the 12-year-old lead character, builds an “ofrenda” in honor of his idol, the legendary late musician Ernesto de la Cruz. “Ofrendas” traditionally are created by friends and family members to honor relatives or loved ones who have passed away. Fun Activities: Guests are invited to take commemorative photos in front of the iconic Mexican “Árbol de la Vida,” or Tree of Life. The Tree of Life at Plaza de la Familia celebrates the everlasting bonds of family and friends. Guests will be able to add a remembrance note on the Memory Wall to honor the many loved ones who have been − and will forever be − part of their lives. Additionally, guests visiting Plaza de la Familia can design their own paper “alebrije” (spirit guide) mask as part of a new craft activity. Mexican Food Menu: The Mexican menu at Paradise Garden Grill features delicious offerings such as the traditional Día de los Muertos Pan de Muerto, Mole Verde con Pollo, a scrumptious Pan Dulce Conchita, and a special “Coco” cake. Guests who cruise into Cars Land will find that Ramone, one of the citizens of Cars Land, also pays tribute to Día de los Muertos at Ramone’s House of Body Art. Ramone celebrates this time when families gather to remember their loved ones with a traditional “ofrenda” display honoring the gone, but not forgotten, Doc Hudson. 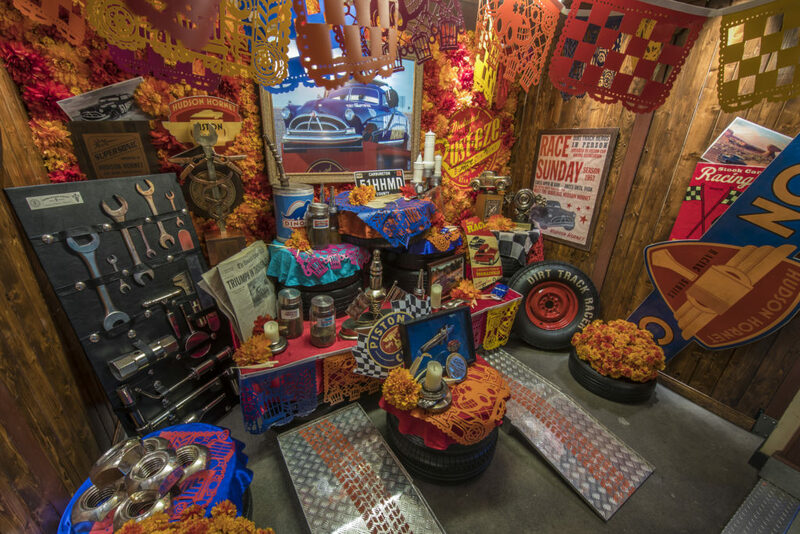 Guests who cruise into Cars Land through Nov. 4 will find that Ramone, one of the citizens of Cars Land, also pays tribute to Día de los Muertos at Ramone’s House of Body Art. Ramone celebrates this time when families gather to remember their loved ones with a traditional “ofrenda” display honoring the gone, but not forgotten, Doc Hudson. Disneyland Park continues to offer its traditional Día de los Muertos display at Zócalo Park in Frontierland. This immersive setting features marigolds and papel picado, along with a traditional “ofrenda,” sugar skulls known as “cavaleras” and an iconic figure of La Catrina. Nearby Rancho del Zócalo Restaurante offers delicious Mexican cuisine for lunch and dinner. For more information about attractions, entertainment, and vacations at the Disneyland Resort, please visit Disneyland.com. 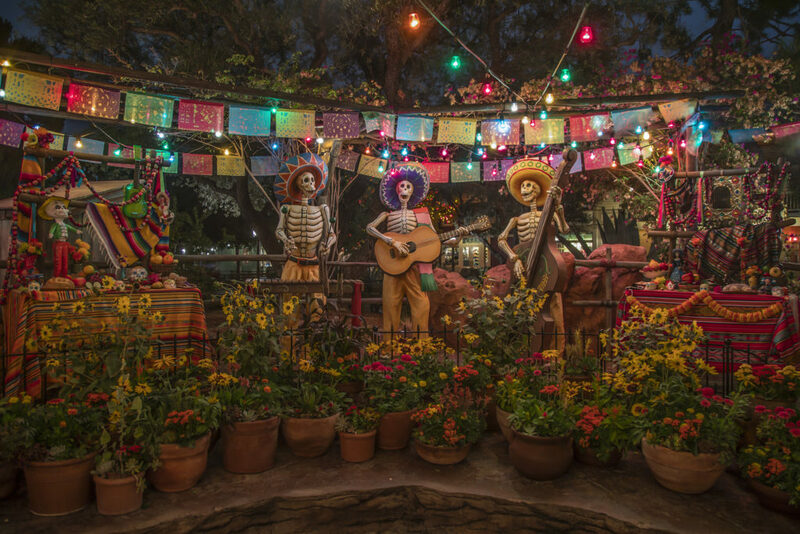 Portions of this material for this article sharing the Seasonal Experiences Inspired by Día de los Muertos at Disneyland Resort have been provided courtesy of the Disneyland Resort.